Tu-2 (pronounced “Tutu” or "too too") is a Los Angeles-based Taiwanese-born artist who has created an internationally	exhibited, acclaimed body of work in fine art, photography, and film. In the 1990s, he enjoyed a decade of robust success from his Mao-ology and Timeless series, which garnered critical acclaim from America to Asia and Europe, and became the sole subject of two books in Europe and Asia and explored in more than a score of international publications. A little over a decade ago, Tu-2 took a prolonged sabbatical from painting to search his soul and reset his spiritual compass. 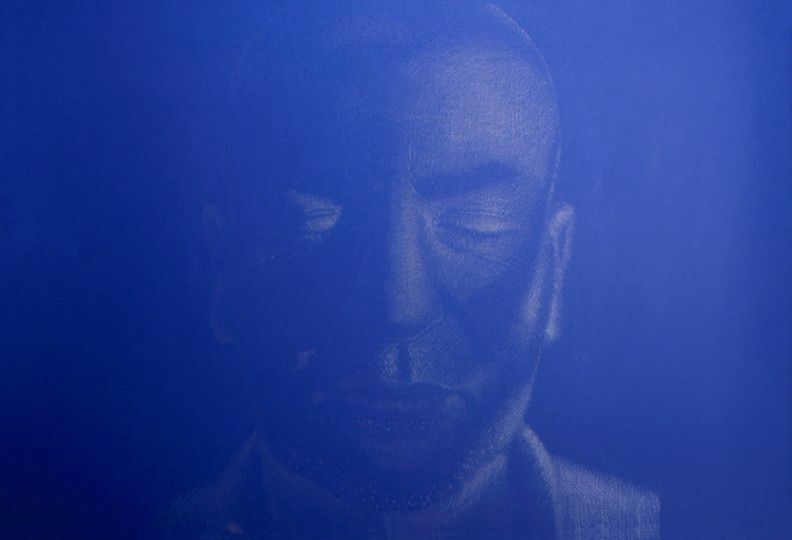 A new body of work emerged: a series of spiritual portraits in silver pencil on blue paper that reveal the true essence and interior qualities of their subjects. These meditative works inspire awakening, affinity and compassion, and when viewed as a group, illustrate the infinite ways in which humanity is connected through space and time. Tu-2 was most recently artist-in-residence at the O Street Museum Foundation in Washington, D.C. NOTE: The "108" portraits are not for sale, but privately commissioned portraits may be ordered, depending on the artist's commitments. Copyright 2011-2013 © Ying Ming Tu, Tu-2. All rights reserved worldwide.